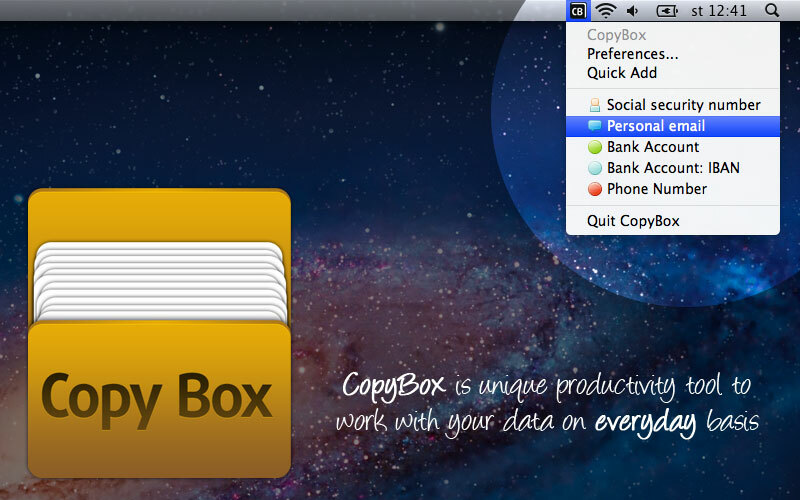 CopyBox is unique productivity tool to work with your data on everyday basis. 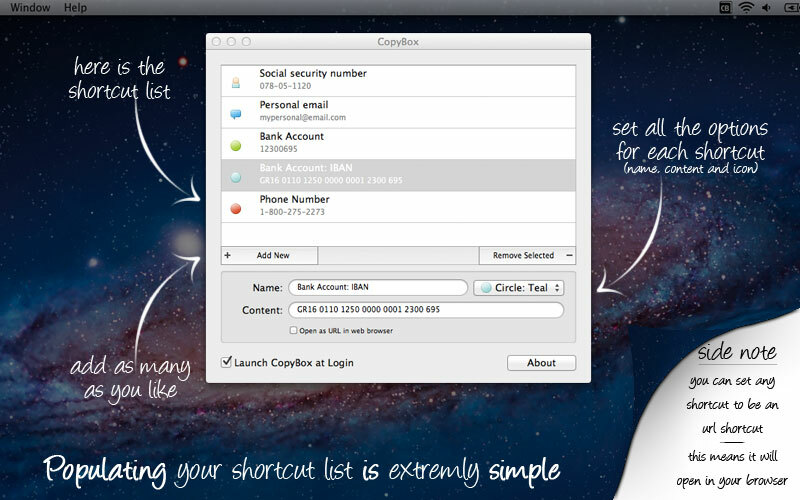 Populating your shortcut list is extremly simple and you can also set any shortcut to be an url shortcut. This means it will open in your default browser. 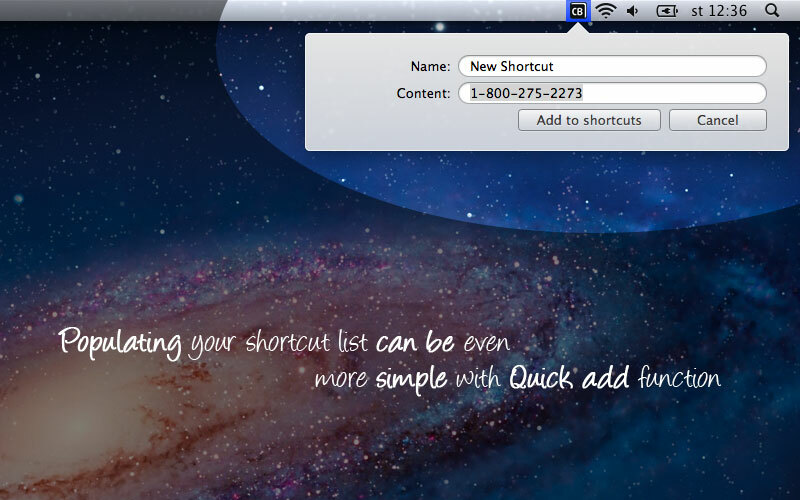 Populating your shortcut list can be even more simple with QuickAdd function. 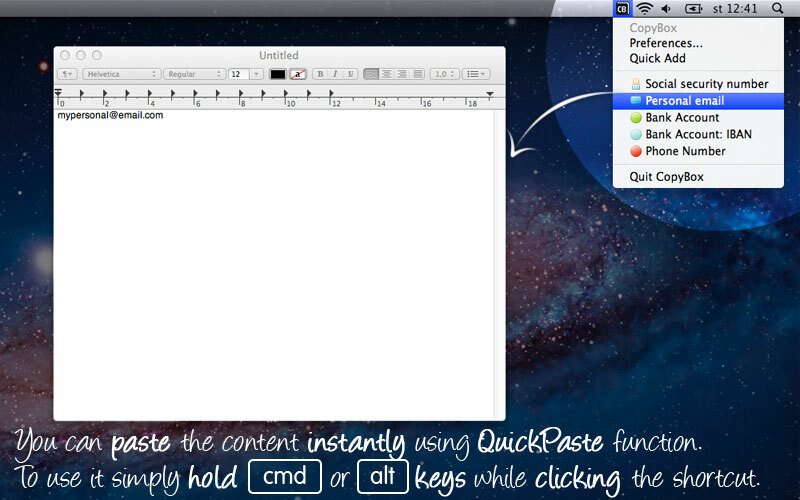 You can Paste the content instantly using QuickPaste function. 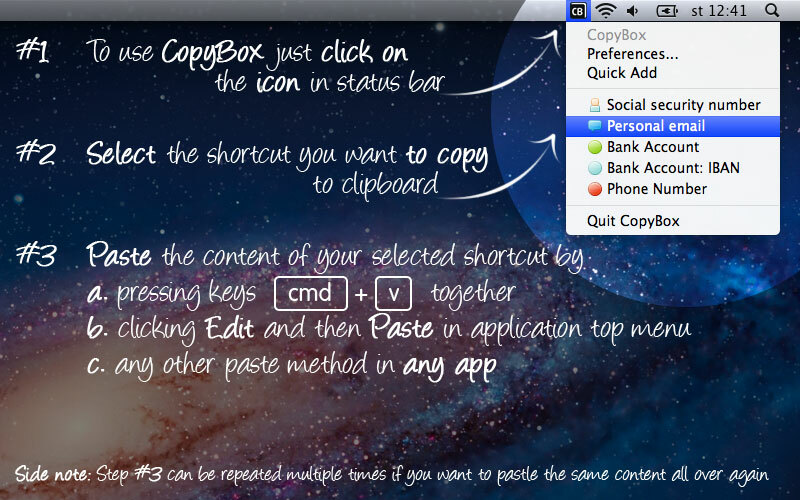 To use it simply hold CMD or ALT keys while clicking the shortcut. Copyright © 2011 Gammosaur s.r.o. All rights reserved.